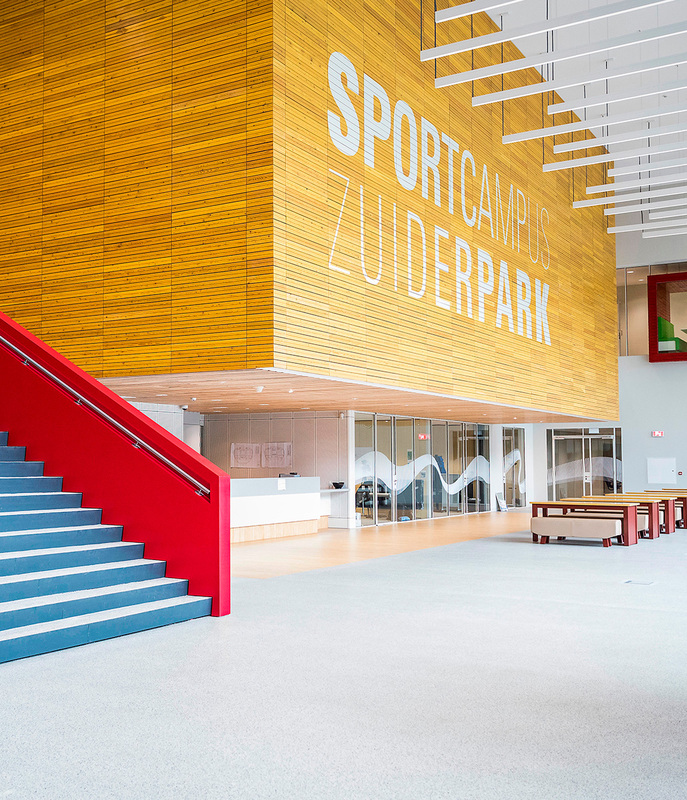 Total Design was approached to help build the brand identity and communication concept for Sportcampus Zuiderpark, a new and ambitious sports centre. The centre is initiated by The Municipality of The Hague, the Hague University of Applied Sciences and ROC Mondriaan School. It is used by both international sports organisations and local schools, connecting professional athletes with happy amateurs. The concept for the brand identity is set to communicate all these ambitious initiatives. 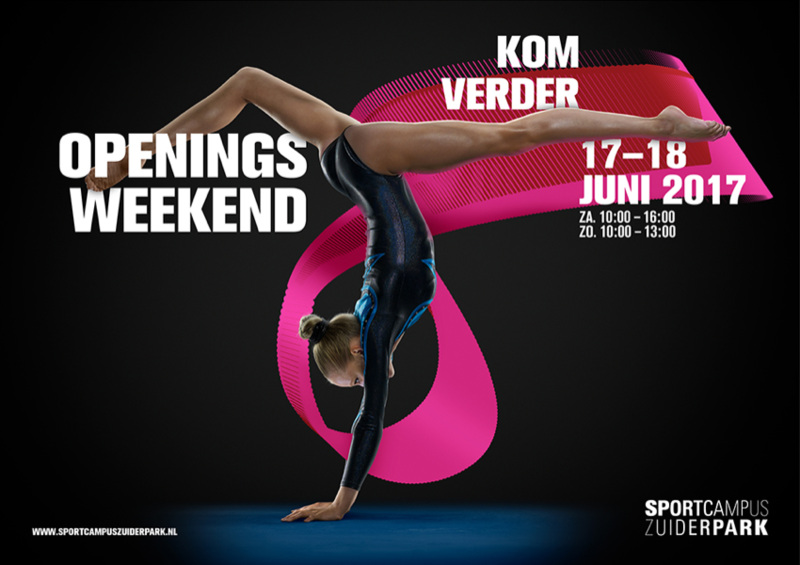 The Zuiderpark ribbon is the most distinctive asset of the new brand identity. We translated the new identity into a new website, screen displays, mobile apps, animated logos and a wide variety of other touch points. 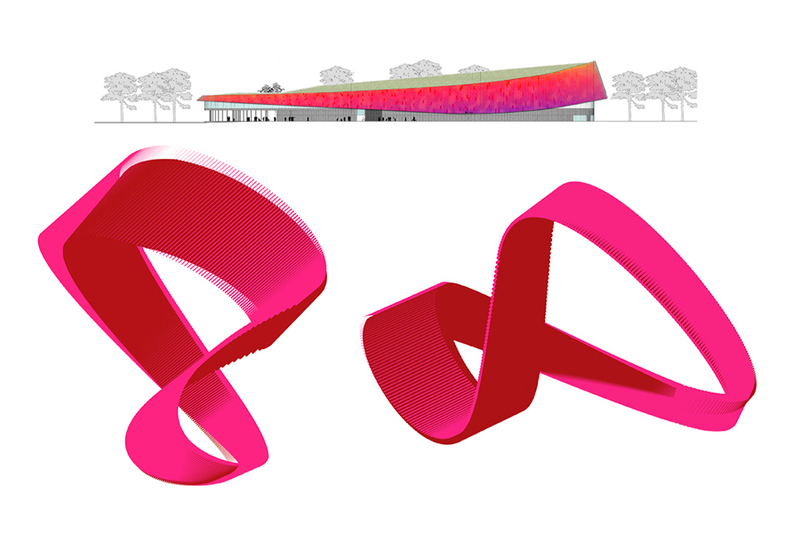 The most striking feature of the architecture of the building (FaulknerBrowns) is a giant ‘ribbon’. This inspired the core element of the brand identity.